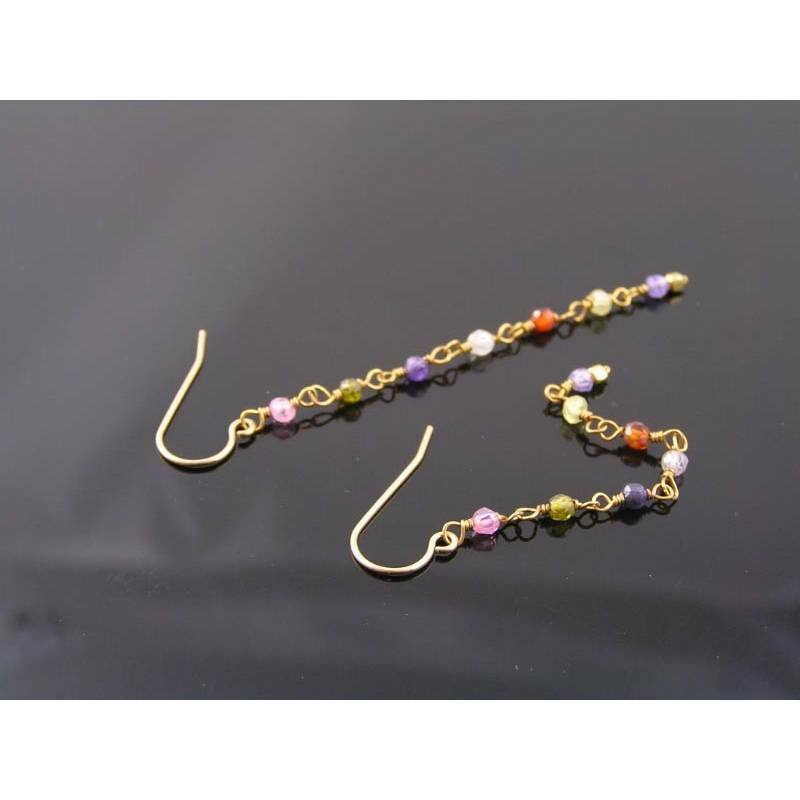 Sparkling cubic zirconia, wire wrapped with gold filled wire. 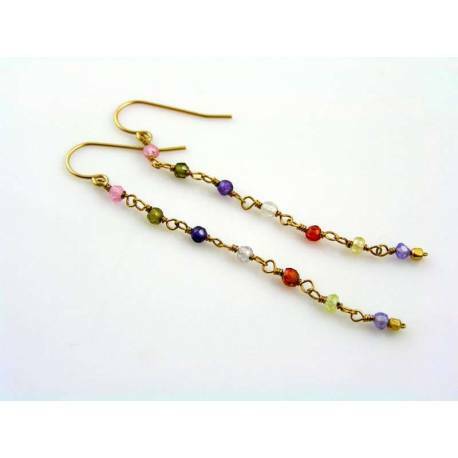 For a fun take on earrings but at the same time a pair that you will wear again and again and again. They are so versatile due to the different colours they display, the perfect length - not too long for the office and yet dangly enough to take you anywhere - and the high quality materials and workmanship that will fit in anywhere. Meticulously wire wrapped are 3mm micro faceted cubic zirconia gemstones. 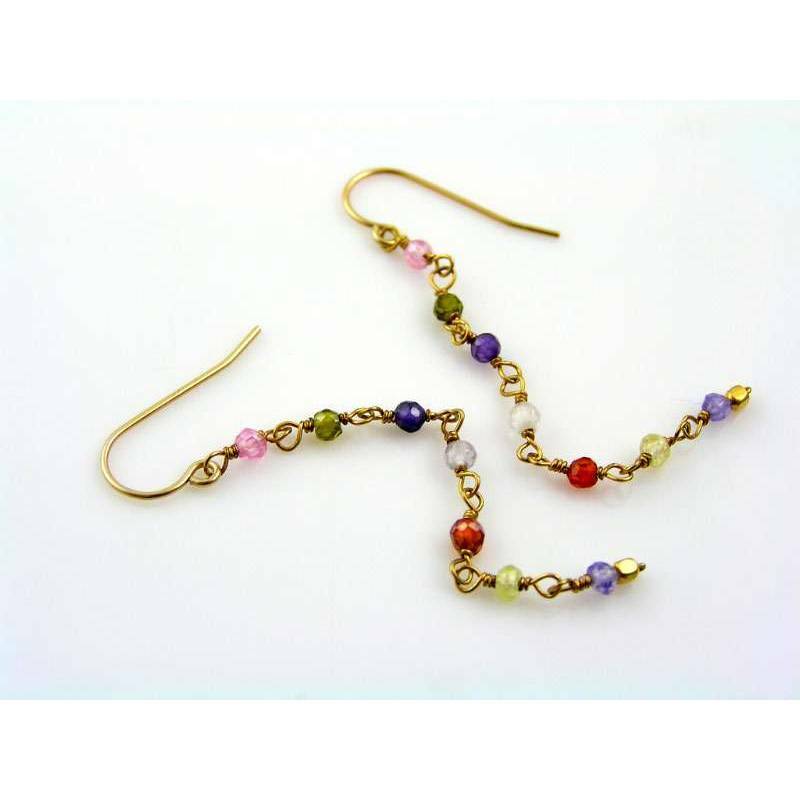 Colours range from purple and pink to olive, Indian red and pale yellow. They end with a full stop, a little vermeil cube. 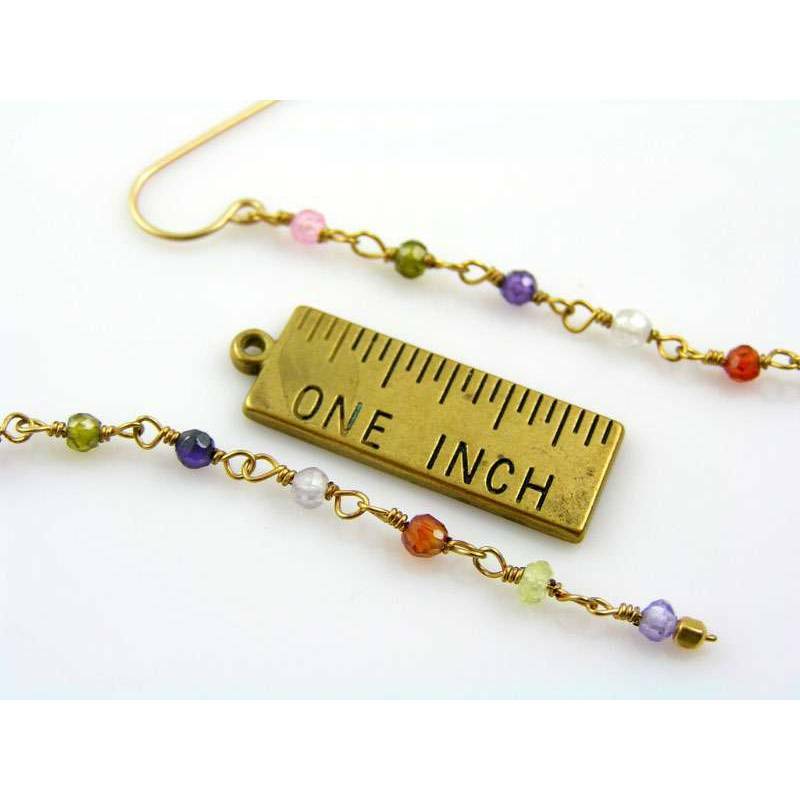 Total length is 7cm, including the 1/20 gold filled french ear wire. All my earrings come with clear rubber stopper to prevent loss. Cubic Zirconia beads are of highest quality and sparkle beautifully.